Webview shows the tracking information on orders shipped for companies that have shipping integrated in Control. Allowing customers to view shipping information in Webview. 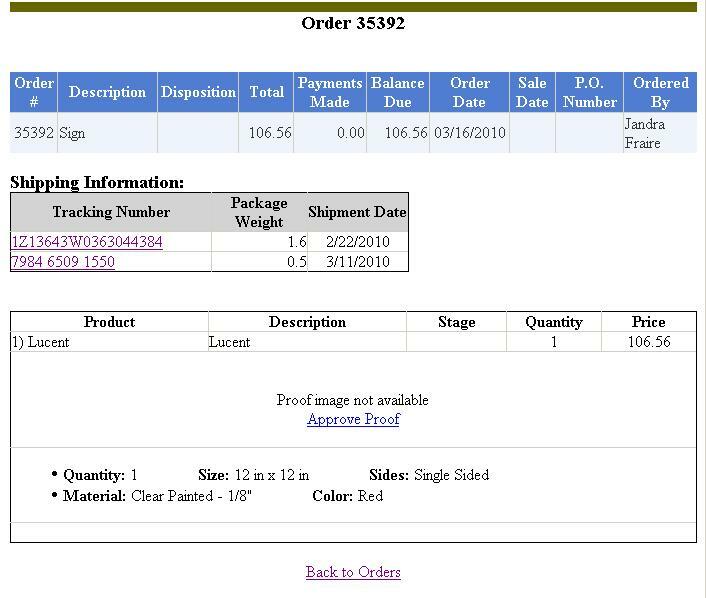 Viewing the details of an order with tracking information will display a Shipping Information grid below the line items. 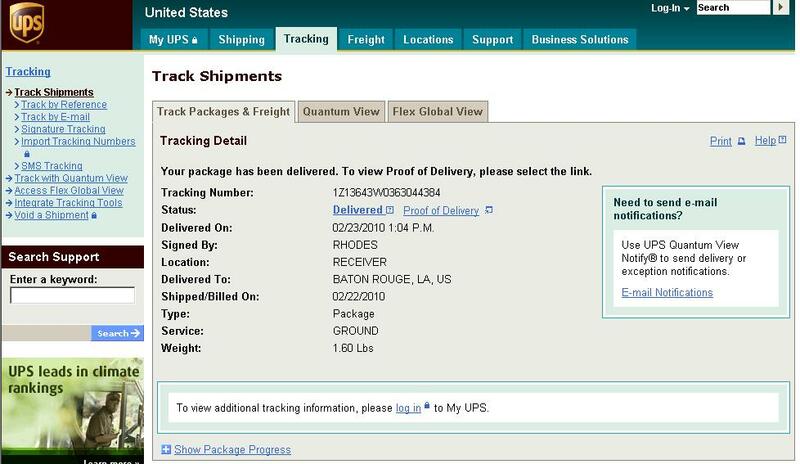 The tracking number is display as a link that will open the appropriate shipping application's web site. There are items in the appSettings section in the Web.Config file that allows for modification of how the tracking information is shown. ShippingTrackingURL_UPS The URL used to retrieve the shipping information given a UPS tracking number. The name of the field that stores the tracking number. The name of the field that stores the package weight. The name of the field that stores the shipment date. 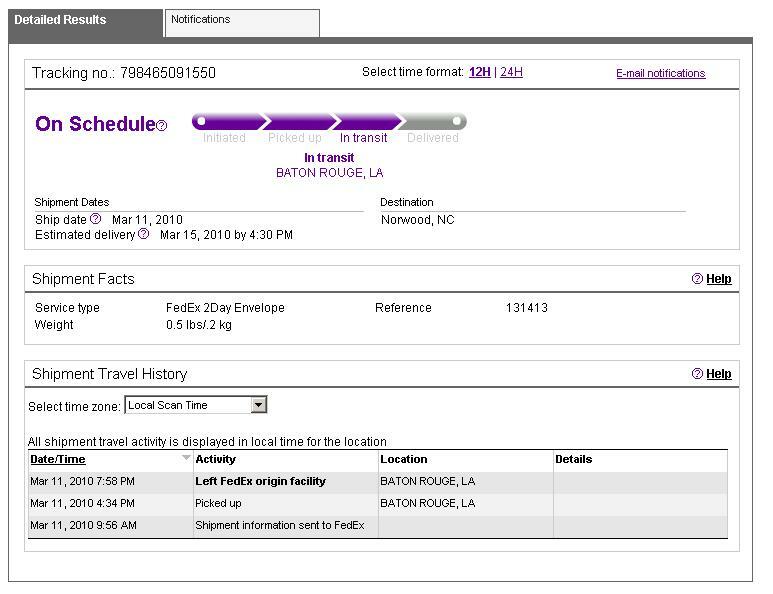 ShippingTrackingURL_FedEx The URL used to retrieve the shipping information given a FedEx tracking number.